Hi in this post i would like to publish the details regarding Naga Dosha Pariharam. I will let you know all the details as far as i am aware of the temples where Naga Dosha Pariharam can be performed. 1. Do not visit to any Vishnu temple immediately after performing Naga Dosha Parihara pooja. You need to have head bath before you visit any Vishnu temple. 2. Do not offer Sastanga Namaskara in any Naga Devatha temple. 3. Naga Dosha Nivarana pooja should not be performed nearer to the montly date .Give atleast 8 days gap to conduct the pooja. You should not perform Naga Dosha Nivarana pooja if you are pregnant. 1) KUKKE SUBRAMANYA SWAMY TEMPLE (KARNATAKA). Performing Sarpa Samskara, Aslesha Nagabali pooja in KUKKE SUBRAMANYA SWAMY TEMPLE (KARNATAKA). Sarpa Samskara are the two important Sarpa Dosha poojas that are done at Kukke Subramanya Swamy temple. You need to stay there for 2days. Accomidation is available. You have to book in advance. 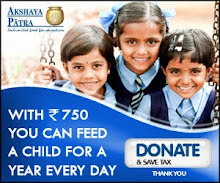 Cost of Sarpa Samskarapooja is 2500 Rs.Naga prathista is also includeded in it. Y ou have to send DD to the temple to book in advance .you have to book the pooja before one month otherwise tickets will not be available.Preist will be provided by the temple itself.. This pooja involves rituals similar to the ones done in death rites(sradha karma). Aslesha Bali pooja cost around Rs 400. It is known as Aslesha Bali because it has to be performed on Aslesha Nakshatra. Nagaprathista cost around 400 Rs. If performed in other days it has no power. Find out the details from temple authorities before you plan your tour. For detailed information regarding Naga Dosha Pooja process, you can go through my post under Kukke Subrahmanya For Naga Dosha Parihara Pooja . Remedy for Kalasarpa Dosham is to perform Rahu Ketu pooja once in every sixmonths .Once in Dakshinayanam (July 15th to Jan 15th) & once in Uttarayanam (Jan 15th to July 15th). Those who cannot perform any other rituals like homas and japas, they can do this Rahu Ketu pooja in Kalahasti regularly as said above to get relief from Kalasarpadosham. Kalahasti temple is the only temple that is kept open during Grahanam (Solar and Lunar Eclipse). Lord Siva here have all 27 Nakshatras and 9 Rashis in his Kavacham. Even purohits don’t touch the Sivalingam here with hands. It is one of the Pancha-Bootha Lingas. It is Vayu Lingam. You can also go through the temple web site. Narayana Nagabali is one of the main rituals performed at Tryambakeshwar. Narayana Nagabali consists of two different Rituals. Narayana bali is done to get rid of Ancestral Curse (Pithru dosha or Pitru Sapa) while Naga Bali is done to get rid of sin performed by killing snake. Narayana Bali is done to fulfill the unsatisfied desires of the Ancestral souls which are struck in the Trisenku Swargam and trouble their progeny. In NagaBali ritual the funeral is performed to the body of snake made of dough. Wheat, Rice, Barli are made into powder and Sesame seads are added to it. All these are mixed with Cow milk and prepared as dough. Body of snake is made by this dough. It is treated as the body of the snake which was killed by us. Duration of Naga Bali pooja is 3 days. Kalasarpa dosha pooja is also done. 1. You have to Perform Naga Bali pooja on an aspecious Muhurtham. 2. Naga Bali pooja should not be performed on Dasami, Ekadasi, Astami, Gokulastami, Sivaratri, Solar & Lunar Eclipse. 3. Naga Bali pooja should be performed 8 days the menses time.Should not perform it if you are pregnant. 4. Performing Nagabali on Shasti Thithi is aspecious. It comes twice in every month. 5. Aslesha Nakshatra is also aspecious for Nagabali pooja as the deity of the star is snake. 6. Do not go to any Vishnu temple immediately after performing Naga Dosha Parihara pooja. You need to have head bath first and later you can visit. NagaPrathista done here in a correct process gives good results. NagaPrathista done in Rameswaram removes Naga Dosham which decends from our families (generations). After doing Naga Prathista in Rameswaram, perform Abishekam with the Ganga water taken by you. Then go to Nagarkoil and perform poojas which completes the Naga Prathista process. NagarKoil is in Tamilnadu. It is 320kms from Rameswaram. Nagarcoil temple is dedicated to Nagaraja (Serpent king). This pooja removes your Nagadosham and Dosham to your coming generations. Tirunageswaram is in Tamilnadu. It is 6 kms from Kumbakonam.Tirunageswram is a Rahu temple.Rahu here is along with his consorts Nagavalli & Nagakanni. Lord Siva (Nageswara swamy) and goddess (Girigujambikai) are also present in the separate shrine. Here Abishekam is done to Rahu. It is believed that milk turns into blue colour as it passes through the deity of Rahu. Performing Abishekam in Rahukalam is believed auspicious & on Sunday Rahukalam is too good. Time taken to complete abishekam for one batch is 15mins. Cost of the ticket for Abishekam is Rs100. Devotees also do Nagaprathista. So many people come to perform Abishekam in Rahukalm so it is better to be there at the starting of Rahukalam. You can stay in Kumbakonam. Hotel Rayas is good. It will cost you around Rs 1200/-.
. Donating NAGABHARANAM (which is kept on SivaLingam) in any Siva temples. Donating Nagabharanam (which is kept on SivaLingam) made of gold, silver, copper depending on our fainancial status in any Siva temples. Ask your purohit to decorate it to Lord Siva by reciting Subramanya Mantram. You should wake up early in the morning, have headbath and do fasting on that day. First pray Lord Vinayaka and perform Sarpasukta Sahitha Mahanyasa Poorvaka Ekadasa Rudrabishekam to Lord Siva with cow milk. Sarpasuktam is a Suktam (Sloka) to pray Nagadevatha. Sarpasukta Sahitha Mahanyasa Poorvaka Ekadasa Rudrabishekam, means they will do 11 times abishekam to Lord Siva by reciting Sarpa Sukta. Contact a good purohit for further details. Sarpasukta Sahitha Mahanyasa Poorvaka Ekadasa Rudrabishekam, means they will perform 11 times Abishekam to Lord Siva by reciting Sarpa Suktam. Sarpa Suktam is a Sloka to pray Nagadevatha. Do see good Muhurtham. MANNARSALA is 32Kms from Alappuzha, Kerala. It is the largest snake temple in Kerala. unique feature of this temple is all the rituals are conducted by women priests. The main deity of the temple, set in the midst of lush green forests is serpent god Nagaraja. The temple also has shrines of Nagaraja’s consorts Sarpa Yakshini and Naga Yakshini and his sister Naga Chamundi. This Nagaraja deity is said to be installed by Parasurama, son of Jamathagni Maharishi. he did penance to please Nagaraja. this temple is one of the popular temples of snake worship and believed to be powerful. Mannarsala temple has over 30,000 images of snakes along the paths and among the trees. Women seeking fertility come to worship here, and upon the birth of the child they come to hold thanks giving ceremony, often give new snake images as offerings. A special turmeric paste available at this temple is believed to have some curative powers. Mopidevi is 5kms from Challapalli, Krishna district. It is 15kms from Machalipatnam (Bandur). Mopidevi is very famous temple. Subramanya Swamy here in Mopidevi is in the form of Sivalingam, there is a small hole on right side bottom of Panapatam. From that hole Subramanya Swamy comes and gives darshan to devotees. Naga Dosha Nivarana poojas are done here. Pedakakani temple is dedicated to Lord Siva. It is 7kms from Guntur. It is Sri Ganga Bhramarambha Sametha Sri Malleswara Swamy. Pedakakani temple is very famous for Rahu – Ketu pooja. Timings of Rahu - Ketu pooja are 7AM TO 5 pm. Cost of this pooja is Rs 250/-. For more details contact ph no:0863-2556184. Bhairava kona is located in Ambavaram Kothapalli village, Cs Puram madal of Prakasam district. It is 120kms from Ongole. Reaching Bhairava Kona is not so difficult. Reach Ambavaram Kothapalli. Buses are available from 5:30 AM till 10 PM. Bhairavakona is a forest area between 3 hills. Bala Bhairava is the Kshetra Palaka. As Bhairava is a small child Durg Devi came here as Swayambu. Bhargava muni did tapasya here so Lord Siva came here as Swayambu. Lord Siva is called as “Bhargaswarudu”. It is believed that by visiting the Sasi Naga Lingam present here, our Naga Dosham will be removed. Devotees do 16-128 rounds (Pradakshinas) around the temple. Due to the order of Balabhairava, snakes and animals in this place do not harm devotees. Another intresting feature that attracts devotees to Bhairava Kona is that moonlight falls on the idol of Durga Devi on the day of Karthika Pournami (full moon day). 8 temples are carved out of one rock and Lord Siva appears in 8 different forms. There is a beautiful water fall located at Bhairava Kona. Many devotees visit this temple on Kartika full moon day & on wenesday. Sarpavaram is 6kms from Kakinanda. Sarpavaram temple is dedicated to Bhava Narayana Swamy. The story of this temple is narrated in Brahma Vyvarta Puranam. The great saint Agstya narrated this story to Saunaka and other saints in the Nymisharanyam (forest). Kasyapa Maharishi married Kadru, to whom thousand serpents were born. Kadru asked her sons to go and embrace the tail of white horse of Lord Indra, so that she would make Vinata, the second wife of her husband as her slave. But they disobeyed to do so & were cursed by Kadru. Ananta is one of the sons of Kadru, went around in search of a suitable place to do penance for Lord Vishnu by whose mercy he wanted to save his life. Lord Vishnu was pleased & appeared before him as Bhava Narayan Swamy and let Ananta to serve him as a comfortable bed for him. This is said to be the place where Takshaka (snake) killed Parikshith. Visiting Bhava Narayan Swamy having LakshmiDevi in his heart increases the compatability between the couple. Earlier when Buddha came here snake named Muchalinda gave shade under its hoods (padaga). This temple is in Singarayapalem, Mudinapalli Mandalam, Krishna district, Andhrapradesh.The main deity is a five .headed snake . In 1954 one Devine snake came to Lakshmi Narasimha Swamy Temple Lake from Babaji Mattam and took its bath and was going back, and then it was seen by the two farmers. They threw stones at it. Devine snake killed itself by hitting its head (to the ground). Villagers buried the body of the snake on the bank of a Chavurupalem lake. The two farmers who threw stones lost their eyes. Farmers relaised their mistake and asked the snake to forgive them and they got their eyes back. On the same day night snake came into dream of the villagers and ordered to build a temple. Next day morning villagers took out the body of the snake and were going as procession in the surrounding four villages. At one place they saw one black (kapila) cow coming out separately from the crowd and went to the lake near Lakshmi Narasimha Swamy temple and took bath in it and it did pradakshinas and started to dig the land there. Villagers were surprised to see this and thought that place to be apt to construct a temple and brought the body of the snake and they performed the remaining customs. They built a temple there. Earlier it is called as Nageswara Swamy temple. Now temple was under taken by the endowment department of Andhra Pradesh. Temple was renovated and they changed the name as Valli Devasana Sametha Subramanya Swamy. Devotees suffering from Naga Dosham for marriage do Pradakshinas and perform Abishekam for 5 Tuesdays. It is proved that they get married before the 5 th Tuesday. Childless couples are also blessed with children they come to the temple after the birth of the child. Abishekam ticket is Rs 50/-. Recently also a snake came near the temple lake. People offen see a snake there. Offerring pongal to the god is found in this temple. Devotees give their hair to the god. KALYANAM IS DONE ON SUDDHA SASHTI on the third day Radosthavam, THAPPOSTAVAM are done. Next Sahasra Deepaalankarana Seva is done. One lakh Bilvarchan is also done . Nagulamadaka is one of the temples dedicated to Nagadevatha. It is in the borders of Andrapradesh and Karnataka. Sri Kukke Subramanya is called as "Adhi Subramanyam".Sri Ghati subramanya is called as "Madhya Subramanyam" and Sri Nagulamadaka Subramanya Swamy is called as "Antya Subramanyam". if we do it in any one place would that be sufficient? we are told by our astrologer perform sarp samskar pooja , as we have no child , can we do this pooja in any temple which are told above...? sarpa samskara pooja is not done in every temple.sarpa samskara pooja is done in kukke subrahmanya temple.process of that pooja is somewhat different.go through my kukke subrahmanya post for details.also find out in ghati subrahmaya temple . child less couples should do 1]ashlesha bali,2]nagaprathishta,3]sarpa samskara in kukke subramanya,karnataka.pooja rates are reasonable.for all three type of poojas it will cost around 5000/ they will provide free accommodation and lunch [anna dana] to those who are doing pooja. mopidevi(krishna dist,ap) lord subrahmaneshwar temple is very famous to must visit place couples for children, marriage(kuja dosa nivarana) for bachelor's and children's health and growth. 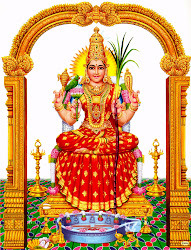 subramanya shasti is very sacred,colorful festival in the temple. All poojas and dosa nivaran poojas perform verywell by devoted pandits. Best conectivity from vijayawada,krishna,ap or Guntur to repalle rail. We are going to Kukke Subramanya temple only for the Naga Pratishta pooja advised to us. I am guessing this Pooja can be done independently ? Is it ok to visit near bye temples like Adi Subramanya after this Pooja ? What time does this Pooja get done because we have to catch our train / bus back. Can you please advice. Naga pratista pooja is done at 12p.m attend for . It will be done at Nagaprathista Mandapam, in premises of the main temple .GET SANKALPAM DONE AT SANKALPA MANDIR. It is better to be there at the earliest as crowd gathers there to see elephant praying Lord Subrahmanya.Ticket for NagaPrathista is 400Rs. Ticket should be obtained before 10 A.M. . Ticket is given at the counter. Preist will come and do Abishekam with water to the idol of the snake. Small Square shaped stones on which snake are carved are kept in pooja and after pooja you are given Prasadam. thank u for the information.being born in andhrapradesh ,i am un aware of these places.hope to visit all the places. A very good information.and i am willimg to visit all the temples. Please also add saptha matrika temple established by adi shankara at ameda near chotanikara temple, at ernakulam, It is very good for naga dosha. More importantly, for people having naga dosha should do pooja to naga deity under the banyan tree or at temples every friday or tuesday or on sunday during rahu kalam, over a period of time automatically, one will get the path to remedy. Hi there very useful details. By the way what is the best pooja for Rahu & Kethu in Kukke? Good Information. ThankYou so much. Was very helpful! Thank you for the all the information you have put up. Very Helpful! Thank you for all the information you have put up. should naga dhosha pooja be performed only in any one temple or can it be done in different temple. because different astrologer tell different place for nagadhosha pooja (kukke and kalahasthi).please clarify this. I have a baby boy of 1 year and 5 months born in Ashlesha Nakshatra 3rd Pada and we are facing a lot of problems after his birth. I have lost my health and have lost all wealth. Could someone please advice me which shanti and dosa nivarana pooja has to be done and where, i live in Bangalore. I am from Malaysia. My daughter has been told she has the Naga dosha (Nagaraja with her). She is now 30 yrs old.What is the best poojas to be done by her and in which temple ? Pl advise as we are north Indians and not familiar with the Hindu prayers. Can speak Hindi, do not speak tamil dialects. Pl reply to jandhillon@yahoo.com. Thank you. best pooja in kukke is sarpasamskara they said it is parihara for kuja dosham,nagadosham and it also covers nagaprathista. i asked our astrologer regarding your problem ,dosha will be upto 2 years. he said best remedy is doing GO DHANAM(donating cow to brahmin) depending on our dosham we have to give 1,2 or 3 cows.don't give money instead of cow buy a cow and donate to a brahmin . 2.for aslesha ,revati and jyesta dosham go to tripurantakam (near srisailam, balatripurasundhari devi is the goddess there )and do poojas to sri chakram there and kadamba vrukshas are present there do pooja to those trees also . Im kiran have naga dosha, thinking to do naga prathishta in local temple, is it effective. very helpfull thank you... i have nagadosha and my mother also have nagadosh. i want to go kalahasti.can i do my pooja as well as my mothers. My daughter was born on 18th August, 2011 at 8:53 a.m. in O'Fallon, in Missouri state (This place is 5 hrs drive to Chicago.). very recently, somebody here told us that she has Balarishta Dosham. could some one tell me whether remedy for this dosham is Naga Pratishta? we have nobody here in U.S. to guide us on this one. Pl can any one help us? hello... can u pls tell me the procedure, timing and price of NAGAPRATHISHTI pooja in THIRUNAGESWARAM? I am not an astrologer but as much as i know as Sani graha is in uchha there will be no kalasarpa dosham. But your son's nakshatram is aslesha-4 so you should do homa shanthi.If you can effort, Go dhanam is better.Don't give money instead of cow. In Kamakoti Peetam, Kanchipuram they will do this for u. It will cost around 50,000Rs(cow+ 1 year maintenance of the cow). Inform them they will make the arrangements. Consult a good astrologer. Thanks for your time and efforts int this regards by providing complete information of Sarpa Dosha at various places. I've been told that I've "Naga Dosham" and need to do "Naga Prathista (55000/-approx)" or "Nava Naga Shanti Homam (45000/-approx)". Though I've done "Kala Sarpa Dosha" poojas (I didn't remember the timings of pooja) at Srikalahasti & Pedakakani, yes I agree that these poojas need to perform at Rahukala timings for good results. I'm in dilemma even if I did the kala sarpa dosha pooja's do I need to the above mentioned again? Anyhow what I would like to know from you is: Which temple offers "Naga Dosha" poojas in Telangana or Andhra Pradesh states? As I'm residing in Hyderabad.From my best knowledge the given temples offer Kala Sarpa Dosha poojas not Naga Dosha poojas. Could you advice me which temple is suitable for "Naga Dosha" nivarana pooja. 1.if naga dosham is severe,then on sukla padyami we have to sleep in kalahasthi temple,and on the next day we have to pray lord siva and perform poojas. 2.on our janma nakshatraor on sukla padyami or on amavasya thithi or on saturdays feed horses with gugillu. 3.buy a small silver nagapadaga (naga idol)it may cost around 250 to 300rs ,and do pooja for it for 27 days and drop it in temple hundi. 4.Do abhishekam to naga prathima in rahu kalam ,and drop it in hundi of navagraha temple or naga devatha temple. 5.visit kalahasthi temple on naga panchami and also do poojas to durga devi and pathala vinayaka present in this temple. MOPIDEVI TEMPLE IS ALSO ONE THE FAMOUS TEMPLE.IT IS 70KMS FROM VIJAYAWADA. Thanks Neelima, for your kind information. I wish you and your family a happy pongal. I would like to know few detail about "Kala Sarpa Dosha" and Pooja! I came to know that in our "Rasi" chart all planets between Rahu and Ketu (Apasavya Disha) then the person has "Kala Sarpa Dosha". And also what's the significance of "kala Sarpa Dosha" pooja at Sri Kala Hasti temple on Wednesday's during "Rahu Kala" timings? Could you please explain if you know anything about above. Many thanks for your time in this regards. Thankyou and happy pongal to u vishnu garu.i don't know much about kalasarpa dosham in a book written by mulugu ramalingeswara vara prasad garu i read that apasavya kalasarpa dosham shows its effect upto 36 yers in men and upto 38years in women.donating nagabharanam made of gold or silver or copper in sivalayam.nagaprthista and another Remedy for Kalasarpa Dosham is to perform Rahu Ketu pooja in kalahasti once in every sixmonths .Once in Dakshinayanam (July 15th to Jan 15th) & once in Uttarayanam (Jan 15th to July 15th). 1. what day I can do the pooja? 2. Normally after performing pooja we're not allowed to go any other places other than our home. Can I go to the hotel and do the annadanam at srikalahasti after the pooja? Please explain me if you come across about this. I suffer from skin allergy.i get erupted rashes all over my body.i also get losses in business.please advice to get rid of my problems. I have skin allergy problems.again i suffer from losses in business.please advice. Its been about 6 yrs i got married, and spent much to get kids but till now i dont have children. Few people are saying that sarpa sanskaram will get me out of this problem. Any one can please suggest me which temple i could visit for sarpa samskaram and naga prathishta. Few suggested me to visit kukke subramanyeswara temple but it is not possible for me to visit karnataka, shall i go to Mopidevi or any other temple near to me to visit. Nagabali pooja .mopidevi,kalahasti temples are also powerful temples.one temple SRI VALEESWARA SWAMY TEMPLEin ramagiri near tirupati,60kms from tirupati,25kms from narayanavanam IS VISTED BY MANY COUPLES FOR CHILDREN .THEY DO POOJAS TO LORD KALABHAIRAVA THERE FOR CHILDREN .HERE KALABHAIRAVA IS CALLED AS SANTHANA PRAPTHI BHAIRAVAR.ANOTHER TEMPLE IN TAMILNADUSri Garbarakshambigai Amman temple is situated in Thirukarukavur (Thirukkarugavur),IT IS ALSO VISITED BY MANY COUPLES. GO THROUGH TEMPLE WEBSITE FOR INFORMATION . http://garbaratchambigaitemple.org/poojas/. Hi, I have nagadosham and I do Milk abhishekham for naga padaga everyday. Right now I am pregnant , can I continue doing it and reading Subramanya ashtotram and kadha? Thanks dear...for providing excellent info. My Husband and my self visited Kukke temple and did Sarpa Samskara pooja, ashlesha bali pooja, naga pratishta on this month Jul 21 2015,Jul 22 2015 and reached to home on Jul 22nd night itself. Before all these booked, i have booked kalyanothsavam ticket in Tirumala for Jul24th 2015. Later I booked this Naga Poojas. But we are having doubt can we do kalyanam on Jul 24th after taking head bath. Please suggest. It is urgent. Please provide me your contact number? So that i can reach. Very useful and interesting information to people looking for nagadosha remedy. One more place of worship of Nagadevatha ; known as Nagulamma s at Village Nagulpet , Koratla mandal, Karimnager District, TELANGANA. As the village is named after the Godess Nagulamma, there might have been some events related to the worship of the diety and naming of the village but lost in history. A large number of devotees are visiting the place to offer prayers and perform nagadosha parihara Pooja. I born on 13/03/1978 at night 9:35.I am facing lot of problems.some purohit said I have to do kalasarpa dosha pooja. So please give me advice at which temple I have to do so.thanks from vikramreddy. i think kalahasthi temple or kukke subrahmanya temple will be better .its better to take the opinion of your purohit . The information given by you is very good and helpful to so many people.I really appreciate for having such patience and the helpful nature towards others. I am having kala sarpa dosha and have performed poojas at kalahasti and Tirunageswaram.I was born in 1982 and not yet married still.I went to so many astrologers and informed the same and I have done Poojas at Kalahasti and tirunageswaram only. Now recently one astrologer told for getting rid of this dosha he told some pooja and has to be done for 11 weeks.But he did not revealed anything much and told that pooja will be done at Kukke subramanya swamy temple and has to wear some yantra after the pooja was completed.Since I can not go all the 11 weeks to Kukke temple he asked my photo.For this pooja he charged 6000 rs and I paid and for last week I need to visit temple and has to stay for one day only..
YOU CAN perform all these 3 poojas .after sarpa samskara pooja day2 you will have some time for nagaprathista (approx 1 hour),then in that time u can immediately rush to aslesha nagabali pooja and then attend naga prathista. i think nagaprathista is part of sarpa samskara pooja u need not buy another ticket for that.just find out every thing in the office. don't eat outside food during these two days ,u will be provided food by the temple .u have to eat only that . 2.do bath in kumaradhara river on day 1 before going to the pooja . once go through my kukke post . As per my horoscope, its detected that I have nagadosha and sarpa samskara pooja needs to be performed. I am married and have one year old son. One astrologer advised me to go to Kukke Subramanya temple and other astrologer advised me to go to kala hasti. Please advise me which is the best place for me to perform this pooja. Can any one provide inauthentic images of navanagas also procedure for worship(puja). Can I perform Naga pratista in kukke and rameshwaram....what I mean is can I perform two times Naga pratista in two different places? Navanaga prathista was performed at the centuries old Nagulamma shrine in the Village Nagulpet village Koratla Mandal ,District Karimnagar by the 49th pushpagirimutt peetadhipathi Sri Sri Sri Abhinavoddanda vidyasankara bharati teertha mahaswami on 11th April 2016. People affected by nagadosha /kalasarpa dosha can offer prayers at this sacred place get relief from adverse effects in the horoscope. I really appreciate u r help giving information.. i have came to recently that i have to do naga pratishta .right now i am in Australia.its not possible for me to come and do it ..is there anything i can do here ..please help me .. Very excellent information about naga dosham and kala sarpa dosham remedies. Is your daughter suffering feom Celebral Palsy? Pls consult pysician fast and start her teraphies and treatment as early as possible. Try Biomedical treatment. Thanks a lot for such a detailed info. Am surprised to see Mannarasala temple in ur list. Am from kerala too. Provided Such a nice information on Sarpa Dosha temple which will provide kala sarpa nivaran to people. There was no much information or site details for Rameshwaram. Kindly share the phone nos of purohits who perform naga puja at Rameshwaram. Best information about Rahu ketu graha. Best theta healing session on poojas.in. Thanks for sharing the information on Dosha nivarana. It's not my first time to visit tuis web site, i am visiting this site dailly and gett good data from here all the time. Can yyou tell us more about this? I'd care to find out some additional information. other stuff, is there any other site which provides these kinds of stuff in quality? it may not be a taboo matter but typically folks don't speak about such subjects. to a well-known blogger if you aren't already ;) Cheers! I drop a leave a response each time I especially enjoy a post on a site or I have something to add to the conversation. Usually it is a result of the passion displayed in the post I read. And on this article "TEMPLES FOR NAGA DOSHA PARIHARA POOJA". -) I do have a couple of questions for you if you usually do not mind. are writing on additional online sites, I would like to keep up with you. as the content material! [X-N-E-W-L-I-N-S-P-I-N-X]I just couldn't go away your site before suggesting that I extremely loved the standard info an individual provide on your visitors? I am no longer positive whether this put up is written by means of him as nobody else know such designated about my trouble. I'm happy to search out so many useful info right here within the post, we need work out more techniques on this regard, thanks for sharing. I love it whｅn folks come tkgethеr and sharе views. Grеat blog, stick with іt! Your method of telling the whole thing in this article is truly fastidious, every one be capable of effortlessly be aware of it, Thanks a lot. Is sarpdosha parihara pooja done in mannarsala temple kerala. I got this website from my buddy who informed me regarding this web site and at the moment this time I am browsing this website and reading very informative content at this place.